How Should I Prep to Ace the DAT on My Retake? Hope all is well. I have decided that if i want to go through with this path of dentistry, then I’m going to have to re-assess my situation and prepare for another retake. 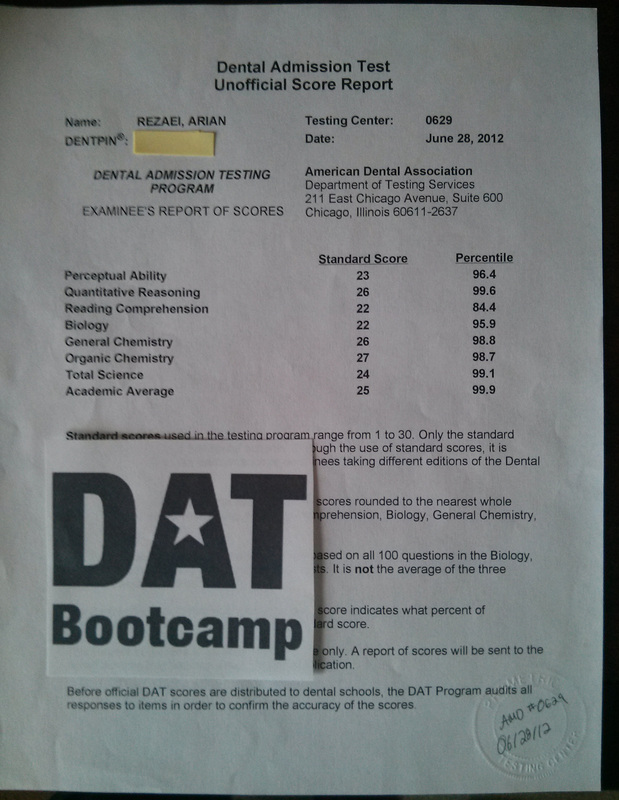 Like everyone else, I didn’t plan on retaking the DAT. Now with classes (Microbiology, Anatomy, and Physio), I’m not sure when to retake the exam. I could take it right before finals, or wait a little longer. I have four exams coming up in two weeks, so I have to prep for that. This will give me some time off from DAT. After the exams, I’ll dive into QR and PAT practice from March 15 until end of March 30. Go through some General Chemistry, Organic Chemistry, and Biology practice until April 10 (I’m not sure how realistic that is but I will set it to this level to make sure that I get the most out of it). Work on doing mini full-lengths of all subjects until one week before finals. Give myself 10 days after finals, and push hard with practice full lengths. Your thoughts and feedback would be most appreciated! Thanks for the question! I would make sure that this is the final shot at the DAT you’re going to take. Currently, I personally feel that your practice schedule is too segregated and intense. By the time you get to the DAT, you may begin to forget QR or PAT, or you’ll become very stressed in that week during finals and forget the DAT material and be pressed for your classes, ending up in a poor result in both. Now you know your limits better than me, of course. If you believe you can do this, then by all means you can, and you’re a very strong person. But I would suggest spreading out the schedule a bit more. You can take the DAT end of June or mid-July with no problems. As for prep, I don’t know what material you used the first time, but this is what I could suggest for your case. You have to start with why you’re missing questions. Is it a lack of knowledge in the content? Or is it misinterpretation of the questions? If it’s content-based, then you need to start with a content review. The last 10 days of your prep needs to be dedicated to practice tests solely. Practice test in the morning, take a long break, review in the afternoon/evening. 4 days out from your exam take the 2007 DAT exam and see how you do. 3 days out take the 2009 DAT exam. The scores you get on these exams will be close to what you’re going to score on the real test. If you’re still not ready, evaluate if you can do better if given more time to prepare, then decide to postpone or not. Good luck on your DAT endeavors and feel free to ask me whenever you have more questions!